A picture from the day I climbed two of the Paps of Jura a few years ago. 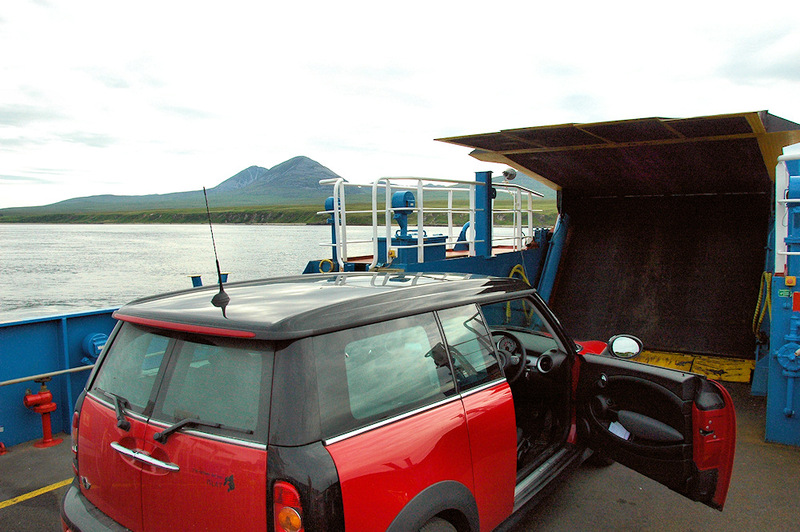 I took the first ferry in the morning from Islay to Jura to have as much time as possible. While it was a bit cloudy at first it did clear up nicely later in the day for some great views. My destination can be seen just left of centre in the distance. This entry was posted in Cloudy Weather, Jura Excursion, Landscape, Repost and tagged ferry, Jura, MV Eilean Dhiura, Paps of Jura, Sound of Islay by Armin Grewe. Bookmark the permalink.